For home office file cabinets 14' to 18' deep, holds file folders in drawer. Fits 14' to 18' Drawer Letter Size. 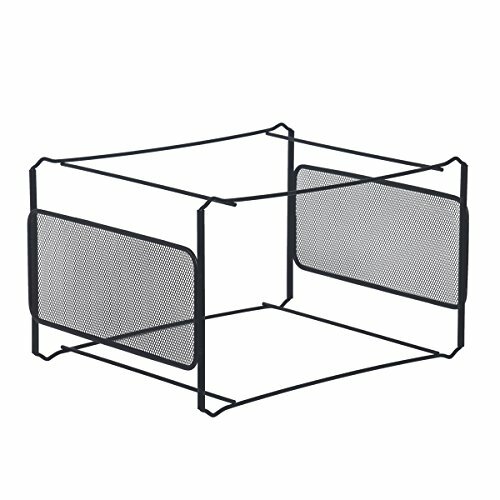 Keeps files and organized in the drawer with these hanging file frames. Steel frames are heavy-duty, coated steel construction. Comes in a pack of two. If it’s worth hanging on to, it deserves a Smead hanging file. 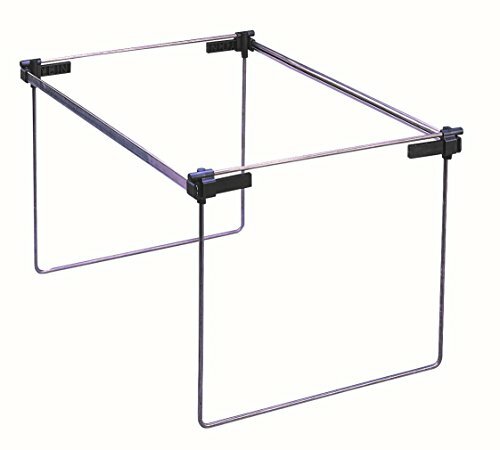 Heavy gauge steel construction frame for use with file drawers and cabinets. These versatile frames accommodate a variety of drawer lengths. Rails scored in 1" increments to adjust from 12" to 24", just snap off at the desired length. Rails are finished with smooth edges. Includes one adjustable length hanging file folder frame to accommodate letter, legal or A4 size folders. Some assembly required. Proudly made in the USA. A Rich Heritage of Innovation and Quality. A world-leading provider of solutions for efficient document management, Smead is a woman-owned company well-known for its high quality, environmentally responsible products and innovative organizational systems. For more than a century, Smead has been committed to one purpose: Keeping You Organized! If it’s worth hanging on to, it deserves a Smead hanging file. 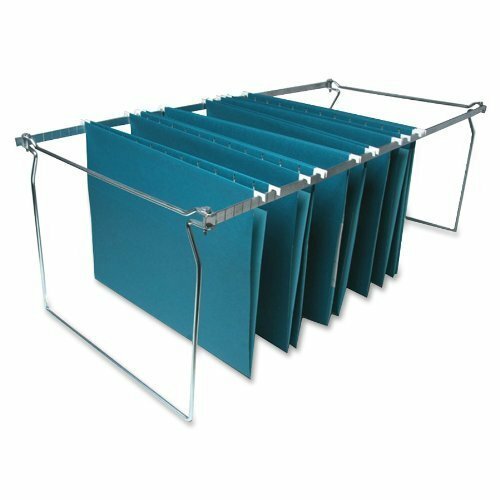 Heavy duty adjustable frame for hanging file folders is durable and easy to assemble. Frame snaps together in minutes without tools. 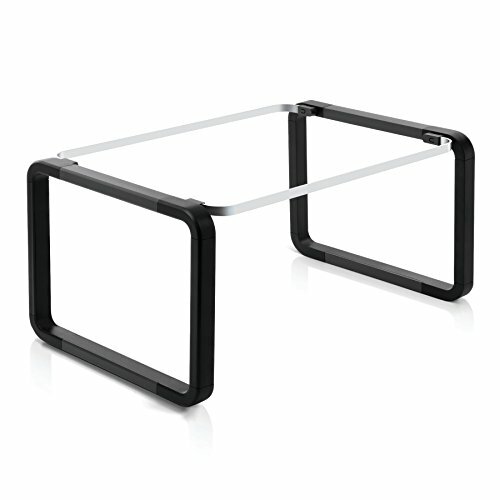 Frame easily adjusts to fit file drawers 16" - 24" in length; simply slide to desired length. Frame can also be used on desktop to keep projects visible and in order. Injected plastic frame and heavy duty coated rails withstand heavy loads. Includes 1 letter size adjustable length hanging file folder frame. Hanging file folders not included. Proudly made in the USA. A Rich Heritage of Innovation and Quality. A world-leading provider of solutions for efficient document management, Smead is a woman-owned company well-known for its high quality, environmentally responsible products and innovative organizational systems. For more than a century, Smead has been committed to one purpose: Keeping You Organized! If it’s worth hanging on to, it deserves a Smead hanging file. Heavy gauge steel construction frame for use with file drawers and cabinets. These versatile frames accommodate a variety of drawer lengths. Rails scored in 1/2" increments to adjust from 23" to 27", just snap off at the desired length. Rails are finished with smooth edges. Includes 2 letter size adjustable length steel hanging file folder frames. Proudly made in the USA. A Rich Heritage of Innovation and Quality. A world-leading provider of solutions for efficient document management, Smead is a woman-owned company well-known for its high quality, environmentally responsible products and innovative organizational systems. For more than a century, Smead has been committed to one purpose: Keeping You Organized! The Pendaflex Hanging File Folder Frame is a compact and stylish solution for organizing hanging file folders. 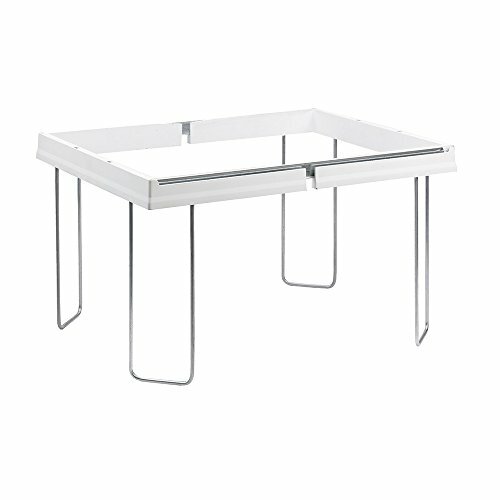 Lightweight and easy to assemble, this adjustable frame creates an all-in-one organization system you can place right on your desk or wherever you work. Set to letter or legal size. 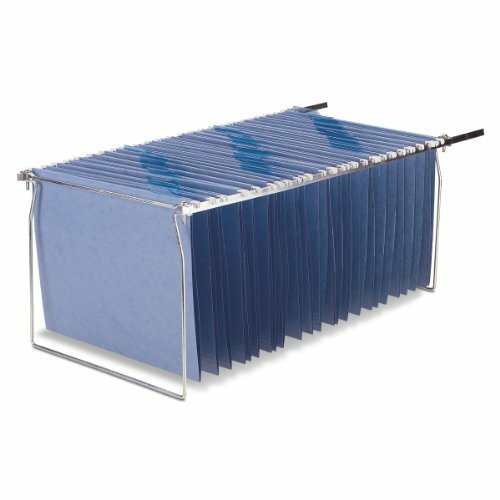 Non-skid feet keep this hanging file folder frame in place. Black with charcoal detail and durable metal rails. 12.625"W x 19.25"D x 9.5"H. Fits in most file cabinet drawers. Hanging file folders sold separately. If it’s worth hanging on to, it deserves a Smead hanging file. Heavy gauge steel construction frame for use with file drawers and cabinets. These versatile frames accommodate a variety of drawer lengths. Rails scored in 1/2" increments to adjust from 23" to 27", just snap off at the desired length. Rails are finished with smooth edges. Includes 2 legal size adjustable length steel hanging file folder frames. Some assembly required. Proudly made in the USA. A Rich Heritage of Innovation and Quality. A world-leading provider of solutions for efficient document management, Smead is a woman-owned company well-known for its high quality, environmentally responsible products and innovative organizational systems. For more than a century, Smead has been committed to one purpose: Keeping You Organized! Premium file folder frames assemble quickly and easily. Two pack set. Shopping Results for "Adjustable Hanging Folder Frame Drawer"